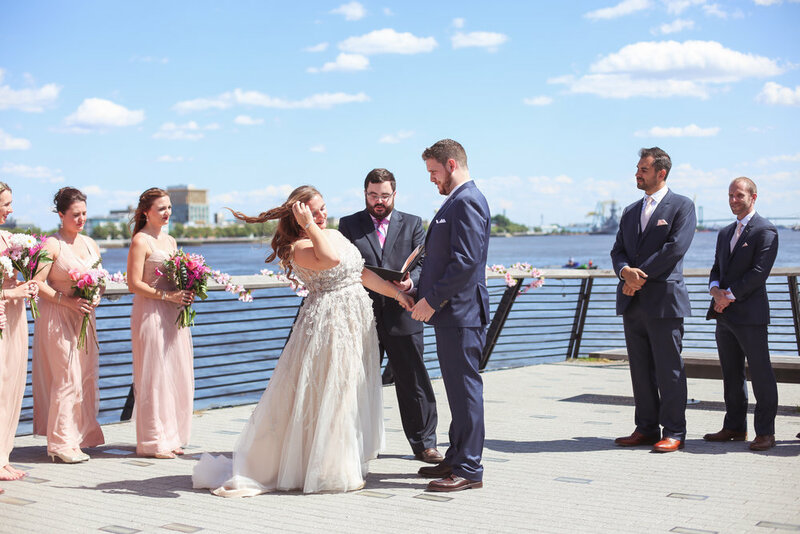 Corey & Joe were married on June 3, 2017 in Philadelphia, Pennsylvania. 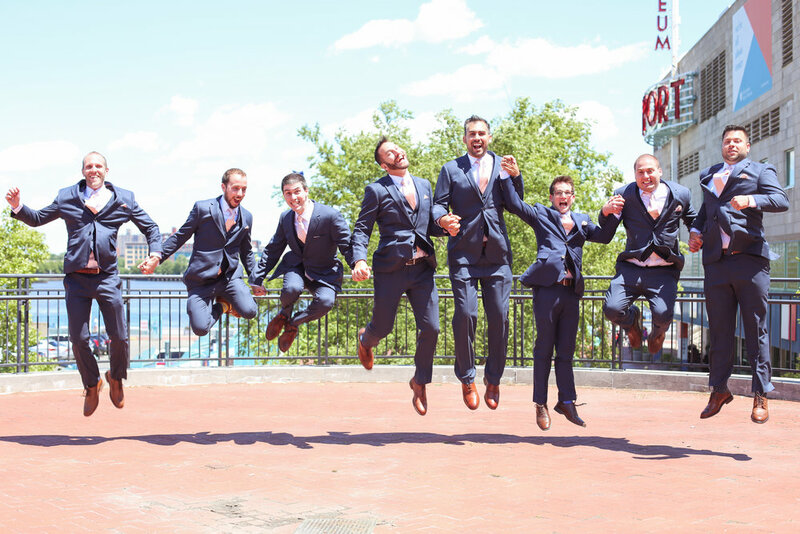 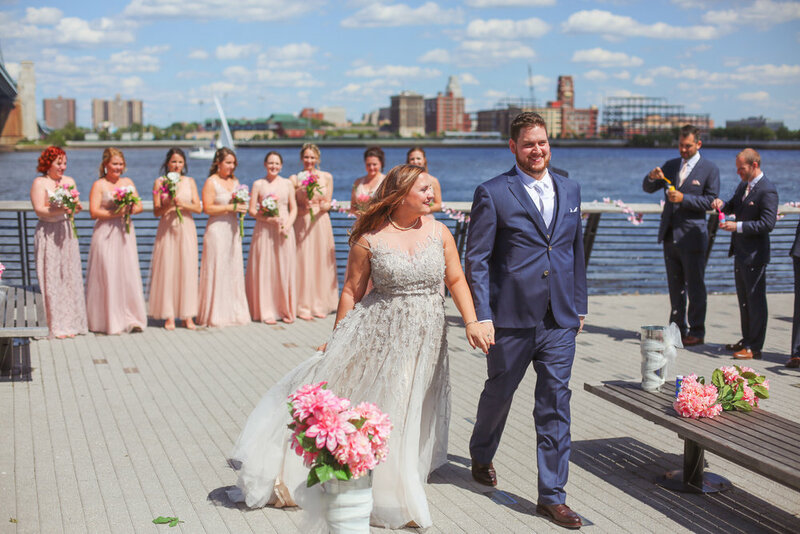 The bride and groom both got ready at a nearby hotel before their first look on the Walnut Street Bridge in Old City, followed by wedding party and family photos. 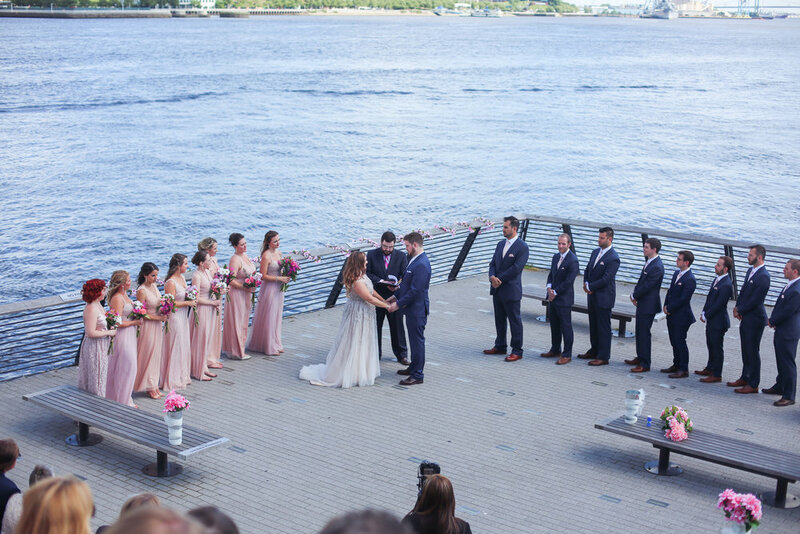 The ceremony took place at the Race Street Pier, which was nothing short of picture-perfect. 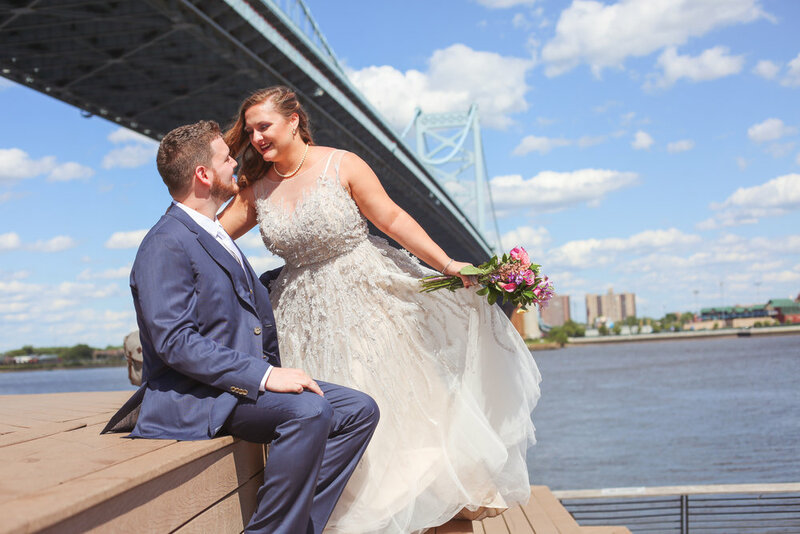 The Ben Franklin Bridge provided a breathtaking backdrop as family and friends witnessed this beautiful couple become husband and wife. 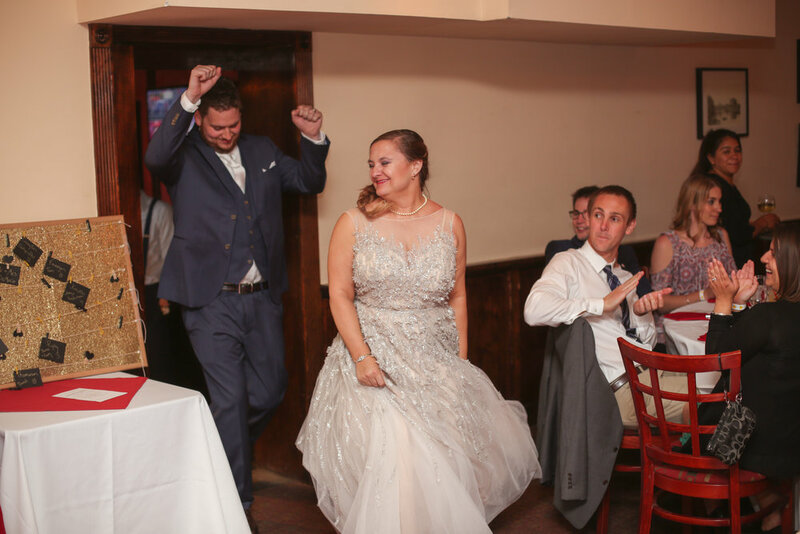 The cocktail hour took place at nearby bar The Plough and the Stars and the party continued with dinner and dancing around the corner at Italian restaurant Spasso. 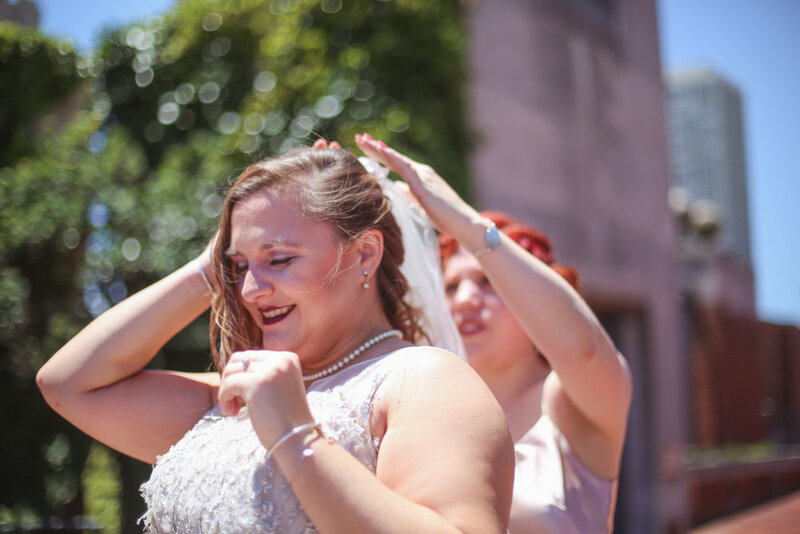 This was such a special wedding and a beautiful day, and I was overjoyed to be a part of it.